Huge congratulations to the team of local girls involved in the Be Her Freedom campaign. 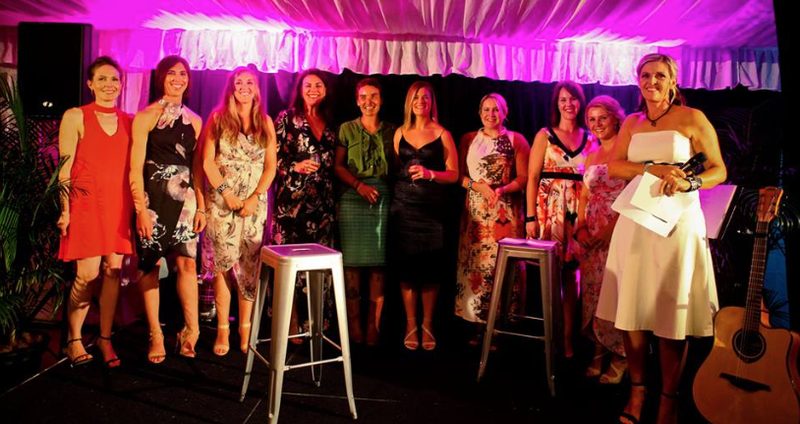 This amazing Northern Illawarra bunch organised the recent gala event at Coledale Rainforest retreat which saw more than 200 women frock up to raise money to help the A21 campaign, freeing women trapped in slavery across the world. The girls called on the support of the Northern Illawarra business and creative community, which responded generously with support in all forms, including the donation of a vast array of silent auction items and raffle prizes. Artist Nicole Southworth painted a Coledale Landscape on the night, which was later auctioned, while fellow artist Kym Cleaven created a boat which was filled with beautiful messages of support, which will be sent to rescued victims in Thailand. provided the glamorous entertainment by way of the ‘String Angels’, who brought the crowd to their feet. Northern Illawarra dancer and member of Austinmer Dance Theatre and Thirroul Dance Academy Jessica Hewitt performed a mesmerising contemporary dance piece, and renown entertainer and musical theatre performer Genevieve Davis captivated the crowd with her acapella performance. The night was fantastic and went off without a hitch. Most importantly however, the evening raised just over $37,800 for the A21 campaign, which restores freedom and hope to victims of human trafficking. The A21 campaign has confirmed with the Northern Illawarra girls that 80% of the money raised goes straight to the front line to be used for prevention, protection, prosecution and partnerships. Motivation comes from him, not with-in!